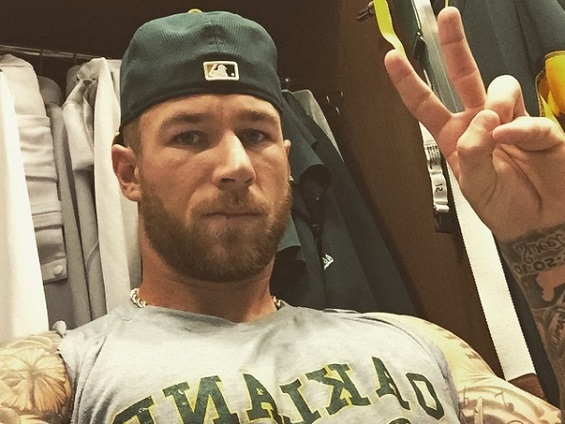 Brett Lawrie’s Trouble with the Curve: Anomaly or Problem? When I was in college, I spent ten weeks in Japan on a quarter abroad trip. The school there encouraged the students to make friends outside of the cultural exchange club. Foolishly, I decided to try and bum around with the baseball team, thinking that the fact that I was at a small art school would hide the fact that I had quit baseball six years prior due to not being very good. After buying a glove, cleats, and all the basics, I showed up at practice and fumbled my way through trying to hang out with them. They let me take batting practice with them, and it was a shameful experience. I batted four times, and struck out four times, not once making contact on the mid 70’s junkballer who was pitching. I never again showed up, and decided to make friends instead with some guys playing Magic: the Gathering at a local card store, which turned out to be a much more fruitful endeavor. I bring this story up because I can take solace in the fact that, despite my horrible showing, I was at least as good as Brett Lawrie was on April 7th, 2015. 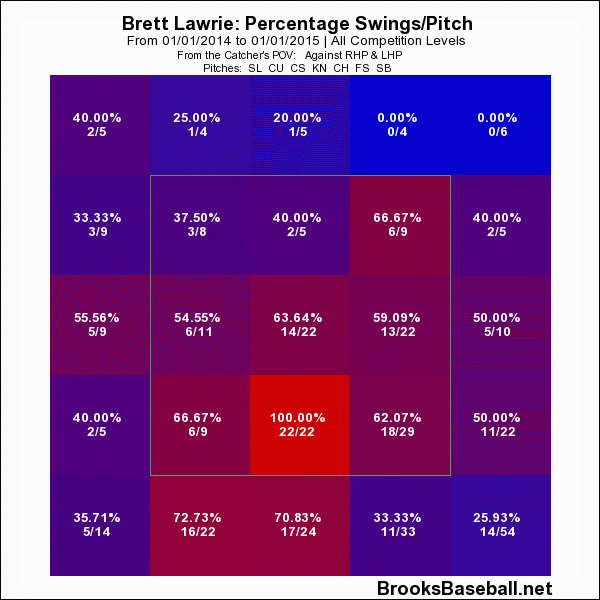 Against the Rangers, Lawrie approached the plate four times, and each time, walked away empty handed after three pitches. Fangraphs can show us that he saw eight sliders, three curveballs, and one fastball. That’s a ridiculous diet of breaking pitches for the A’s newly acquired third baseman. Can we learn anything from this? Will Lawrie be fed something like this all year, and does he stand any hope of overcoming it? So throwing a lot of junk does seem to be a decent strategy against Lawrie, but it shouldn’t be a secret that throwing Sliders to right handed batters is generally a good idea. If you drop the minimum plate appearances to 250, then Lawrie ranked 171st in the league last year against sliders (out of 311), which is bad, but not indefensible. Certainly there’s room for improvement there. If you look at the leaderboard against sliders, the top five in value are all right handed, including known hackers Yoenis Cespedes and Evan Gattis. 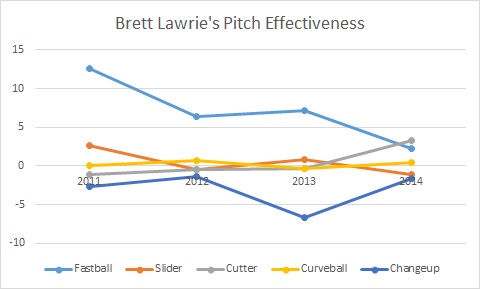 It’s the same story with the changeup–all of the top five are right handed, so Lawrie should be able to find something to emulate. So it is possible that Lawrie is more susceptible than he needs to be. What exactly is the problem here, though? If you take a look at the gifs mentioned in this Grant Brisbee piece, which also breaks down the pitches, you may notice something. Lawrie seems to be swinging at all the pitches out of the zone, and not swinging at anything in the zone. The eye test seems to suggest that he didn’t figure a single one out, but Pitch F/X (available courtesy of Brooks Baseball) says that he did (unsuccessfully) swing at one pitch in the zone, but on the night he was 1/7 on recognizing pitches in the zone and attacking them, while also swinging at all five pitches outside the zone. That looks like a remediable problem to me. His 2014 is more forgiving (included to the left for reference), but still not great, to be honest. Lawrie still has a problem recognizing offspeed and breaking stuff tailing down, or away, but he’s better at attacking stuff in the zone at least. Let’s compare his chart to a right handed hitter a little better at this, say, Victor Martinez. 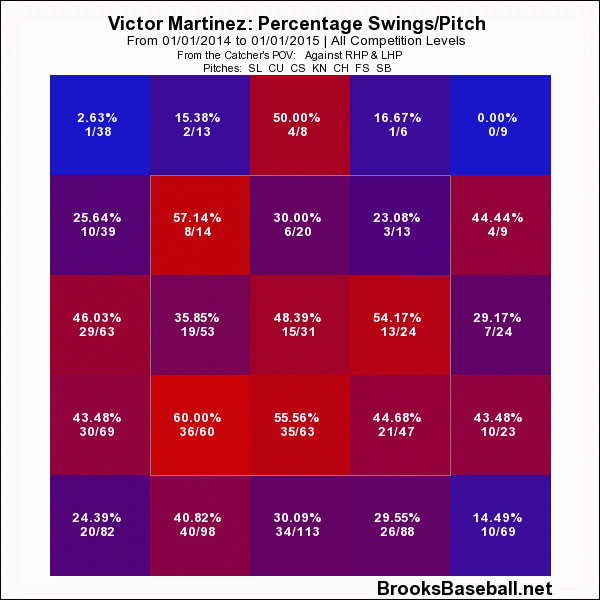 Martinez’ chart shows a superior ability to recognize pitches in the zone, and not nearly the same problem recognizing the stuff in the dirt (though he still has a couple 40% zones here and there). It’s not a matter of being patient, either, as Martinez was in the top 20 in the league last year in walk rate, while Lawrie hasn’t once eclipsed a 10% mark over the course of a full season. This is good news though, all things considered. Poor pitch recognition on offspeed and breaking stuff sounds at least from the sight of things like an April problem, and a young man’s problem, and Lawrie’s current state fits both of those. It’s hard to say though whether Lawrie as a player is trending in the right direction. Over the course of his career, Lawrie’s been getting better at recognizing offspeed stuff, but he’s been getting steadily worse at recognizing breaking stuff. Martinez’ chart, on the other hand, is much more consistent over the course of his career. That said, Lawrie has shown potential in this area. Martinez has never topped over a 1.0 rate on any pitch type over a full season, but Lawrie was able to do so for both offspeed and breaking stuff last year, even if his breaking profile continues to decline. So I imagine pitchers will probably lay off a bit when it comes to the changeups, but come heavy on the breaking balls, which is representative of the night in question. So should we expect Lawrie to have nights similar to Tuesday, where tons of breaking pitches came and went right by Lawrie? Yes, unfortunately. That said, that doesn’t mean that Lawrie is hopeless. He needs work in recognizing these pitches most of all, which can be improved with practice. His 2013 chart shows potential here, as he was really awful in April only to steadily see improvements until September. So, unlike my Japan trip, Brett Lawrie’s poor showing against middling breaking stuff may not relegate him to a life of nerdiness. That said, he has work to do, and the data suggests that he’ll probably be exploited until he can prove otherwise. He’s young enough that he can do it, but it’s on him at this point.